I did not catch this young lady’s name but I shot her yesterday in Abbeville at the big Louisiana Cattle Festival. She is the 2017 queen of the affair and is most beauteous. The festival originated on September 24, 1949. It has been on my radar for years but getting out of New Orleans on a second line Sunday is nearly impossible. UPDATE: Gabrielle Guilbeau is the 2017 Louisiana Cattle Festival Queen. May her reign be an auspicious one. 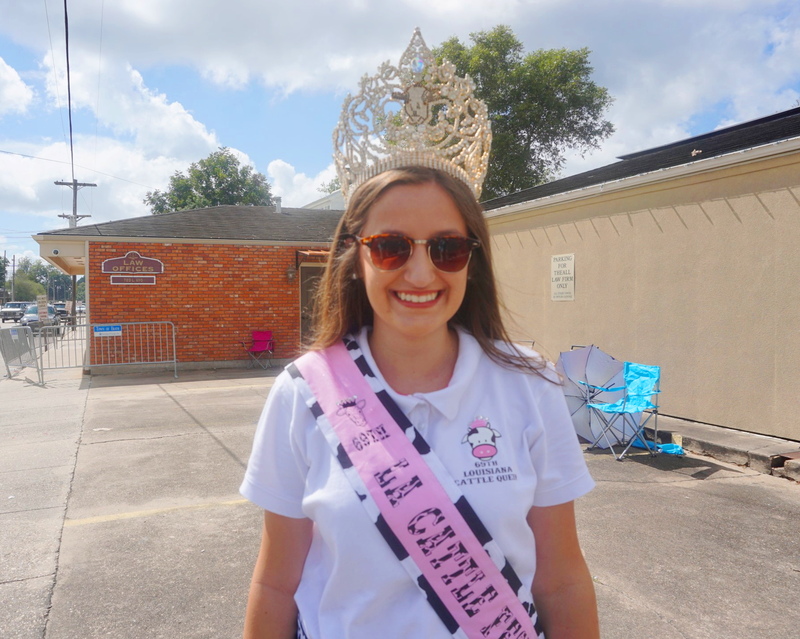 This entry was posted in Louisiana Daily Photo and tagged 2017 Cattle Queen Of Abbeville, Louisiana Daily Photo, rl reeves jr. Bookmark the permalink. Thanks, I’ll edit the article to reflect her name.